Buy Ammosart a Coffee. ko-fi.com/ammosart - Ko-fi ❤️ Where creators get paid by fans, with a 'Buy Me a Coffee' button. Hi! I'm Allison. I like drawing and playing video games. Welcome to my Ko-fi Page. If you enjoy my content, please consider supporting what I do. Thank you. Along with commission work and random doodles, I'm currently attempting to make timelapse art videos each month! NEW: I'm opening up some sketch commissions here! 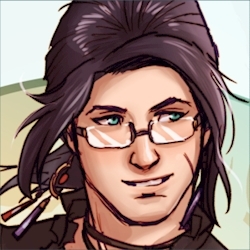 For a donation of three coffees, you can request a headshot of one NPC of your choosing. These are fairly simple doodles, for warm-ups or taking a break, something fun to work on alongside my daily work. I'm fine with requests from series such as Persona, Voltron, Xenoblade 2, and Final Fantasy, but feel free to ask about other series as well! Once again, this is just for Non-player characters - OCs will only be taken through normal commissions at this time! Secured Payments. Support goes to Ammosart's account. Upgrade Ammosart to a yearly Gold Membership with a one-time payment.